Donate here to help victims of the fire that destroyed CSL Paradise. 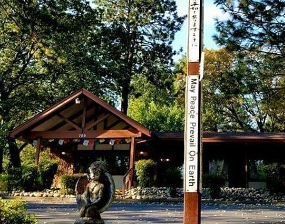 The center pictured above taught metaphysics in a welcoming community before it was completely lost in the Camp Fire November 8. November 18, 2018: Rev. Raymont Anderson -- "Because I Have No Eyes, You Think I Cannot See"